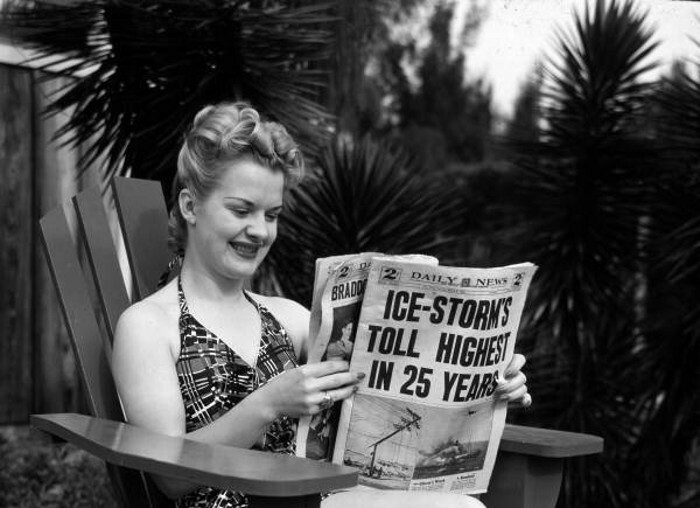 Global warming will reduce the number of deadly ice storms. Great news, Pope Francis encyclical watchers! The climate has not been growing hotter. This is to be celebrated because for the last thirty years politicians, the mainstream media, environmentalists, faith groups, Kindergarten teachers, and even the occasional scientist has promised that globally averaged temperatures might soar a few tenths of a degree Celsius. But it didn’t happen! Temperatures have remained more or less constant these past two decades, and there’s no sign this steadiness will waver. Let’s repeat that, because, strange as it might seem, word of this happy fact, this most welcome, cheering circumstance, does not appear to have reached the ears of those who are certain sure the sky has already fallen, including those many organizations who are preparing to turn Pope Francis’s issuance of an (anticipated) environmental encyclical into a holy day. We bring glad tidings to these nervous groups: the world has not been growing hotter. It is not worse than we thought; it is better. The scientists were wrong, as scientists sometimes are. (Science, after all, is said to be self-correcting.) Dear activists, your source of concern has been removed. You can cease worrying and stand down! Isn’t that wonderful? No, it probably isn’t wonderful. If global-warming-of-doom is false, which it must be, since, consistently, predictions have not matched reality, organizations that have been created to fight it are battling a nonexistent enemy. These organizations thus have no reason to exist. Which means they have no need to raise funds. Which means they may as well disband. Yet they haven’t and won’t. Instead, the lack of an enemy is being ignored. For instance, Nancy Tuchman, director of the Institute of Environmental Sustainability at Loyola University Chicago, is almost giddy as she awaits the Pope’s encyclical. According to one report, her institute “has been working to unite 28 U.S. Jesuit colleges and universities as a common voice on climate change”. After the encyclical arrives, she “plans to collect papers from students, faculty and staff with their reflections” on it. A sort of climatological kumbaya. That same news report says that on that great day when the encyclical arrives there “will be prayer vigils and pilgrimages, policy briefings and seminars, and sermons in parishes from the U.S. to the Philippines.” The “Archdiocese of Manila’s decade-old ecology ministry is asking bishops to encourage all parishes to ring their church bells”. Hallelujah? [E]nvironmental advocates — who work with bishops, religious orders, Catholic universities and lay movements –have been preparing for months to help maximize the effect of the statement, hoping for a transformative impact in the fight against global warming. One of these groups is the Global Catholic Climate Movement, which boasts of being “a global network of over 100 organizations working to respond to climate change from a Catholic perspective”. It should be noted there is no uniquely “Catholic perspective” on thermodynamics and the physics of fluid flow, but this has not stopped the GCCM from gathering together organizations like the Holy Cross International Justice Office, the Justice, Peace and Development Office, the Marianist Social Justice Collaborative Steering Committee, the Office of Life, Justice, and Peace and many more. Perhaps they will discover the proper Catholic theology of cloud parameterizations in climate models? Another player is the Catholic Climate Covenant who asks you to “Shrink your carbon footprint and live more justly.” They have formed partnerships with several very highly influential groups, like the United States Conference of Catholic Bishops: Department of Justice, Peace and Human Development, Catholic Charities USA, Catholic Relief Services, the Association of Catholic Colleges and Universities, the frequently beleaguered Leadership Conference of Women Religious, and many others with ties to progressive politics. Yet it’s difficult to know what “extreme weather” they have in mind. Hurricanes are down, and so are tornadoes. Any way you count it, extreme weather of any kind is decreasing. The answer lies with a petition the Catholic Climate Covenant wants it followers to sign, a petition which begins with these curious words: “I’m Catholic, and I know that climate change is real.” Yet the only way they can “know” this is by ignoring reality. In case you haven’t noticed, while many are distracted by the “threat” of “Islamic extremism,” the Christian infrastructure has been infiltrated and subverted by Politically Correct Progressives. The barbarians are inside the Vatican, the churches, the seminaries. And they are not turning toward Mecca to pray. They are adherents of the faith of PC-Progressivism–the tenets of which require believers to denigrate and destroy American exceptionalism. And to lie about their beliefs in order to penetrate their enemies’ infrastructure. 1. What is the “right” temperature for the globe? 2. What will it cost to keep the Earth at that temperature forever? 2a What gives Mankind the right to make that decision? I notice the Catholic Climate Covenant is big on words but I did not note much action on their part–no pictures of the churches now meeting in homes after turning the church into a homeless shelter, no pictures of owners of 3000 sq foot houses downsizing, etc. I guess they just overlooked posting those. Kent: Probably because no one paid any attention to the wolves that started taking up residence decades ago. Failure to remove predators is always a bad choice. LaLongue: Mankind, mainly the governing bodies, gave man the right to make that decision. It really doesn’t matter because no one can actually pull off the necessary technology to keep the earth at one temperature, but telling people we can allows for much more governing than if we admit we can’t. Another cult. That’s what this petition, “… which begins with these curious words: “I’m Catholic, and I know that climate change is real.”” demonstrates. “I am [name] and want to give my testimony that [church official] is a true prophet in direct touch with God” and so many variations of that. Just like so many Global Warming Alarmists asserting that GW, or “Climate Change” etc. “is real” (peruse the Bad Astronomy blog at Slate and when the topic comes up, almost every time comes an assertion that the stated phenomena is real…and/or…that “deniers” don’t “believe” that. The jargon there & elsewhere is verbatim from the terms used by minor cults & near-cult religious groups from the 70s (e.g. The Way Ministry). The behavioral crutch such attestations are is also discussed in the “cult classic,” “Combatting Cult Mind Control,” by S. Hassan. Not sure why … saying cult in the same breath as the Catholic Church? I’ve had numerous conversations which the local Bishop and “elders”. Wanted to find Exactly what they believe (or belief that they’re willing to share). I’ve been invited to services but never took them up on it. My main interest in investigating the Mormon Church was to compare their theory of a Jewish people arriving in America with Thor Heyerdahl’s “Ra Expedition” theory. (The Mormon’s have the theory reversed from Thor’s.) While preparing to meet the Mormons, I happened upon Thor’s “Kon Tiki” which theorized a Semitic people leaving South America for the South Pacific. Thor’s ideas would be antithetical to Mormon belief but I found it fascinating that the Book of Mormon timeline for the Jewish “tribe” is in almost perfect alignment with Thor’s timeline. (I believe ~(1000 or 700) BC through 500 AD. Previous Previous post: Lancet Editor: Half Of Science Is Wrong. An Underestimate?